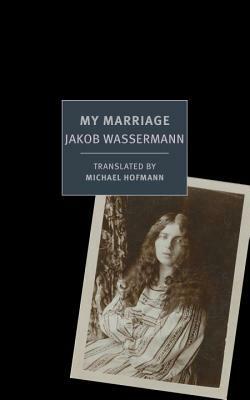 Posthumously published in 1934 and based on Wassermann's own ruinous marriage, My Marriage is a tragic masterpiece that unfolds in shocking detail. This story of rare intensity and drama is now brought to English readers in a powerful translation by Michael Hofmann. J. Wassermann (1873-1934) was a renowned and, late in his life, bestselling German-Jewish author of fiction, plays, biographies, and a memoir, My Path as a German and a Jew. Michael Hofmann is a poet and translator. He has translated nine books by Joseph Roth and was awarded the PEN translation prize for String of Pearls. His Selected Poems were published in 2010. He lives in London.